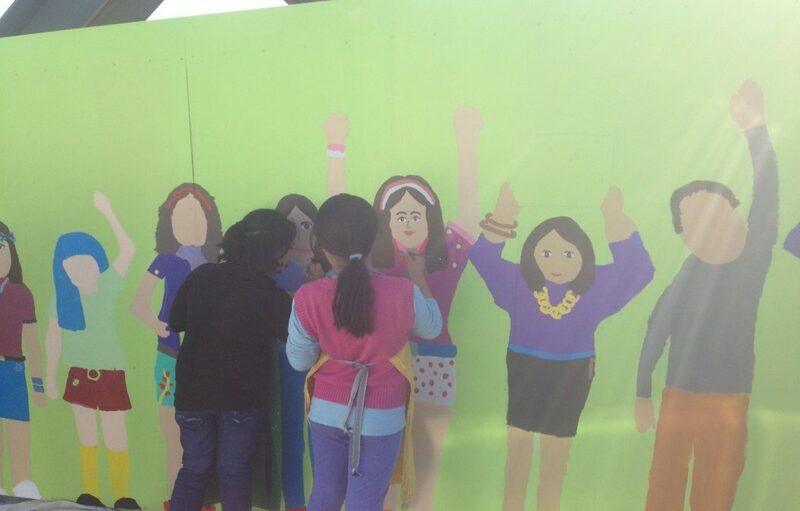 18 months ago a Ponsonby group –‘ Colour of our Community’ (COOC) – entered into an agreement with Progressive to paint murals on hoardings surrounding the development site between Williamson Ave and Crummer Road (formally Soho Square now Vinegar Lane). 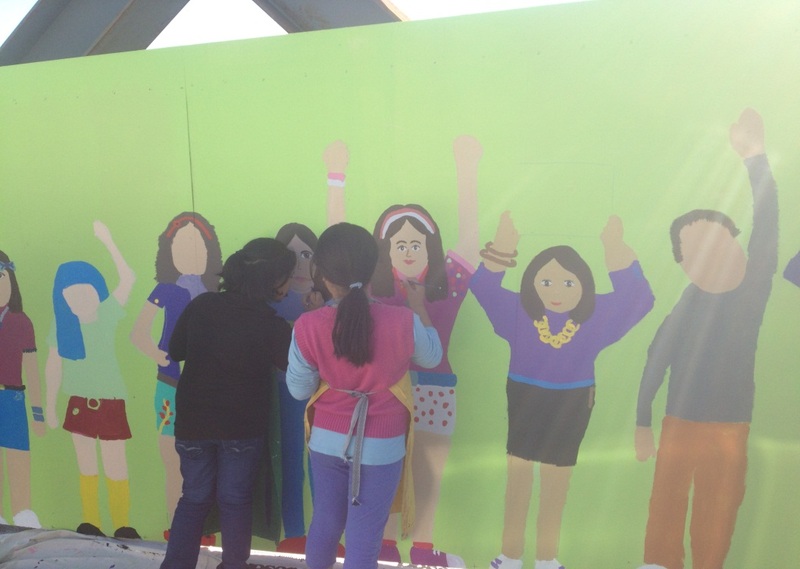 Artists could apply to paint a hoarding and were given a brief of what was required. 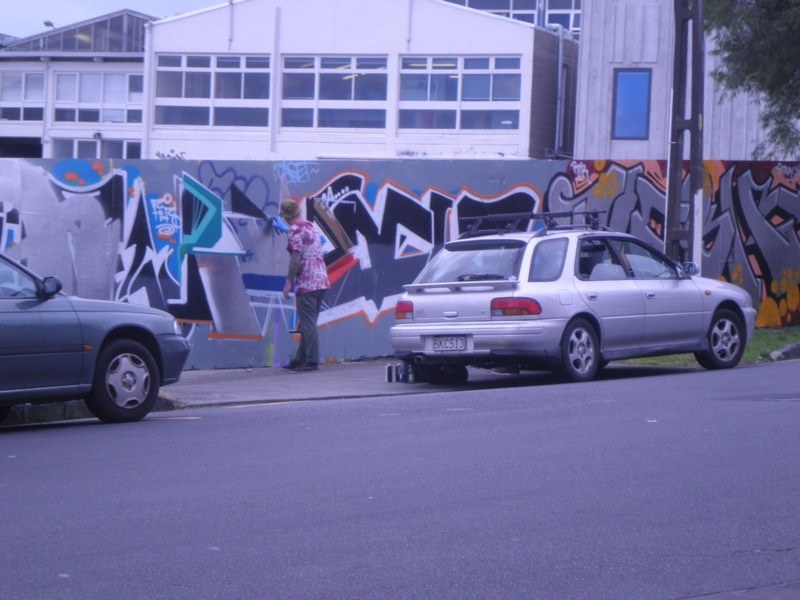 There was a selection process of the type of mural that depicted life in and around Ponsonby. Many local artists’ ideas were selected and within a short time wonderful murals which had connections with Ponsonby appeared. The Crummer street side was reserved for schools and community groups. It is now bitterly disappointing to see all the murals on the Crummer Street side of Progressive’s building site completely destroyed by senseless tagging and bombing. It is all the more sad as this side held all the community groups’ murals including Freeman’s Bay School, Toi Ora and other community groups who received support from the Waitemata Local Board. Recently a group of disgruntled muralists who had not been selected to join the project, tagged and bombed the Crummer Street side so badly that it looked terrible. Local residents were very upset. To make matters worse the destroyers have now covered up the children’s work with their own murals without permission professing to be tidying up the nasty tagging they had done. It is complicated as it is a private site and the COOC which organised the murals seems to no longer exist as an entity and the murals may not have been graffiti- proofed by Progressive or COOC. Inevitably the hoardings will be coming down in the future as the development takes shape but this is still many months away. I am working with officers and community members to find a solution to what is a very unfair situation. I hate to think what the School and community groups are thinking looking at the destruction of their work. The question I would like to put to the taggers is ‘ Why did you need to destroy the children’s murals in order to show off your work? You knew it was a community project. There are many blank walls in Ponsonby where you could have approached private landlords with your ideas for murals.